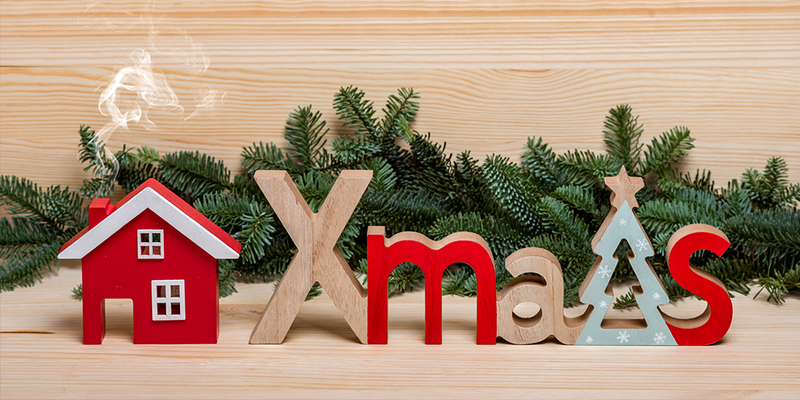 Historically, the Christmas and New Year holidays see record visits to sites such as Rightmove and Zoopla, with over 1.6m properties viewed online as people escape the Christmas turkey to think about their next move. Understandably, many people are reluctant to sell or let their property until after the New Year. But, if you are thinking of moving, selling or letting a property in January, can you afford not to put your property in front of potential buyers at this important time of year? Even if your property is listed with an agent, you don't have to conduct viewings, if you don't want to. The likelihood is that potential buyers or tenants would prefer to wait until the New Year anyway. Instead, get your property listed, so you're ready to take action as soon as the holiday season is over. Book your market appraisal now. We can discuss with you a strategy to get your property in front of buyers or tenants by the 21st December, so that your listing is available for all those buyers researching over Christmas. Get your home ready for selling. Use your preparations for Christmas as a time to de-clutter and to fix those DIY jobs. Get your paperwork in order. Get your payslips, bank statements, tax returns and employment contracts together, so you are ready to apply for your next mortgage, demonstrate that you have the funds in place for your next property or be able to quickly complete the tenant application process. Get a surveyor lined up to complete a survey on your property. Unless you are buying a new property, which will come with all or some of a 10 year NHBC guarantee, chances are that you will need some form of survey completing on your next property. Use the run-up to Christmas to decide who you are going to use and what type of survey you are going to undertake. If you are thinking of selling or letting before or just after Christmas, planning ahead will ensure you get a head start in the New Year, will ensure your property is in front of potential buyers over the Christmas break and still enables you to enjoy family time without disruption. Voila! Get in touch today, if you'd like to arrange a free market appraisal of your property.